Frisk was used to resetting. Playing around with time was what they were used to. Eventually, they grew bored of the same process of resetting. So they lived on the surface with everyone. Only problem is, the SAVE file can't support time on the surface, and goes through a process known as the "Illumination". What is the Illumination? Let's just say...it's really mind-boggling. Hey hey! This is a random idea of mine, and I want this to go somewhere, for sure! This will most likely be a one season thing, maybe two if it becomes popular. It'll be a Comic Dub, going up on YouTube. I'll handle the art. I would like to have a video editor & sound mixer, but they aren't entirely necessary. If you can do either one of those tasks, that'd be super helpful~! In case you were wondering, yes, Alphys and Asriel/Flowey will be in the series, it's just that I'm voicing Alphys, and my friend asked me if they could voice Azzy. I also don't own any art except for the cover photo. If you get a part, we'll communicate through LINE, a messenger app. I'll ask for your ID and I'll add you to the group for the cast. We'll send audio to each other through e-mail. Frisk is the main character, so you would be getting a lot of lines. 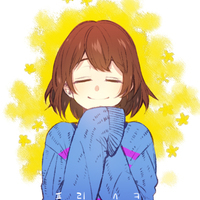 Make Frisk's voice as gender-neutral as possible, I don't want any controversy. Chara...for once, could you stop narrating? Chara is constantly inside of Frisk's head, narrating/commenting on whatever Frisk's doing. They can be a little smug, when the time presents itself. I'd like their voice to be gender neutral as well, but make it sound a little more feminine, I guess. Knowing you have new powers within you, it fills you with determination. Oh, Frisk...since when were you the one in control? Toriel (aka Goat Mom) acts as a motherly figure towards Frisk, since they never had a canon mother. She's a calm and caring character, and it should show in her voice. The Surface is lovely, isn't it, my child? You'll be okay. Trust me. Sans is an all around laid back guy who has almost no care in the world, and a total jokester. Make that apparent in his voice. Papyrus is an excitable and loud character. If you want to voice him, you need strong vocal chords. I'll get the spaghetti ready, human! Undyne is a fierce warrior, and takes no crap from anyone. Make sure people will know that when you hear her voice. Let's do this, and don't hold back! Asgore is like Frisk's father, and cares for Frisk like Toriel. 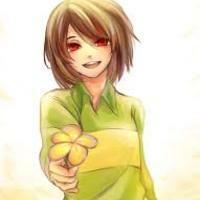 He always encourages Frisk with kind words. 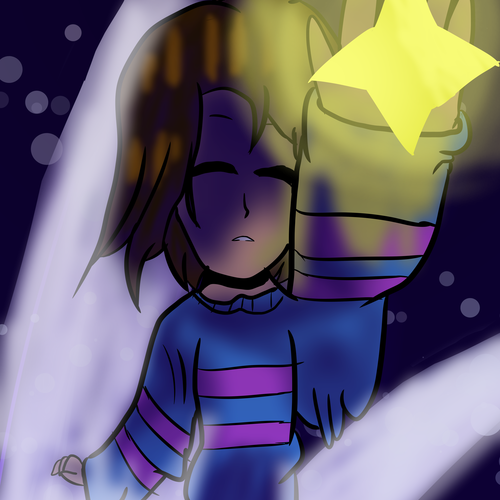 Frisk, for the future of humans and monsters, stay determined.